But the small, peppy Fiat 500 hasn't kept the same pace. The Italian subcompact is well behind the 50,000-unit annual target once envisioned by Sergio Marchionne, the Chrysler-Fiat boss. Since sales began in March, only 15,826 were sold through October. And last month 29 of Fiat's 130 U.S. stores didn't sell a single one. Internal Chrysler Group documents obtained by Automotive News show that, based on current selling rates, Fiat had roughly a half-year supply of Fiat 500 coupes and convertibles on Nov. 1. That's 13,730 units, almost as many as have been sold since March. But the move comes too late to stave off production cutbacks. This month, because of slack demand, Chrysler laid off or reassigned 65 workers who build the engine for the Fiat 500 in Dundee, Mich.
Today, Chrysler parted ways with Laura Soave, 39, a former marketing executive with both Ford and Volkswagen, who became head of the Fiat brand in North America in March 2010. She left the company to pursue other interests, Chrysler said in a statement. The automaker named Timothy Kuniskis, 44, to replace Soave as head of the Fiat brand for North America. He had been director for both the Chrysler brand and Fiat brand product marketing, the company said, adding that the move is effective immediately. The launch of the 500 was a key part of Marchionne's plan to reintroduce the Fiat brand to North America and give Chrysler Group a subcompact. When Marchionne took over Chrysler Group in 2009, the smallest, most fuel-efficient vehicles the domestic automaker had were the compact "triplets" -- the Jeep Compass and Patriot and Dodge Caliber, none of which got more than 30 mpg on the highway, and all of which sold poorly. Are sales slow because U.S. drivers don't want a car that small, or because Fiat has been too slow in rolling out its dealerships? Marchionne doesn't blame the car. Some dealers do. Marchionne said Chrysler had "50 dealers or 60 dealers" for most of 2011. "I think Ferrari has more dealers than that," he said. Marchionne said the company underestimated the time it would take dealers to finish work on their stores. But dealers who have made major investments in new showrooms say the biggest sales obstacles are the 500's petite size and less-petite price. The base Fiat 500 sells for $16,000, including shipping. "We have customers that feel the car is really cute, and they wanted to see it, but they say they wouldn't buy a car that small," said David Rovny, general sales manager at Reedman-Toll Fiat in Langhorne, Pa. "People are expecting the car to be less expensive because of the size." Some dealers sold as few as 49 cars from March through October, while others sold as many as 370, according to Fiat's Final Daily Sales Report for Nov. 1. Olivier Francois, the Frenchman and former Chrysler brand chief who recently became global head of the Fiat brand, said a comparison of days supply is unfair with a new brand. "A brand in the launch phase is not the same as a brand that has been around for 85 years," Francois said on the sidelines of the Los Angeles Auto Show, where Fiat unveiled the North American version of the Fiat 500 Abarth, a high-performance version of the two-door subcompact. The Abarth features a turbocharged 160-hp version of the 1.4-liter engine built in Dundee. Some dealers say Fiat was slow to give them marketing support to make customers aware of the car. This summer Fiat responded by increasing its advertising presence with a couple of TV spots, including one featuring Lopez, and beefing up its marketing and dealership teams with a couple of veteran Chrysler managers. "I don't think we have a car problem; people love the car," Francois said in an interview with Advertising Age. "I think we have an awareness problem." Dealer Rovny sold 57 units of the 500 from March through October. He said the 500 has generated sufficient interest among consumers, but perhaps not in the demographic that Chrysler targeted. "We're finding a lot of the more established customers are buying them as third vehicles in the household, as opposed to the students and young people that Chrysler initially targeted," Rovny said. Reedman-Toll holds franchises for all Chrysler Group brands, as well as Chevrolet, Lincoln, Mazda, Subaru, and Jaguar, with the franchises side by side. 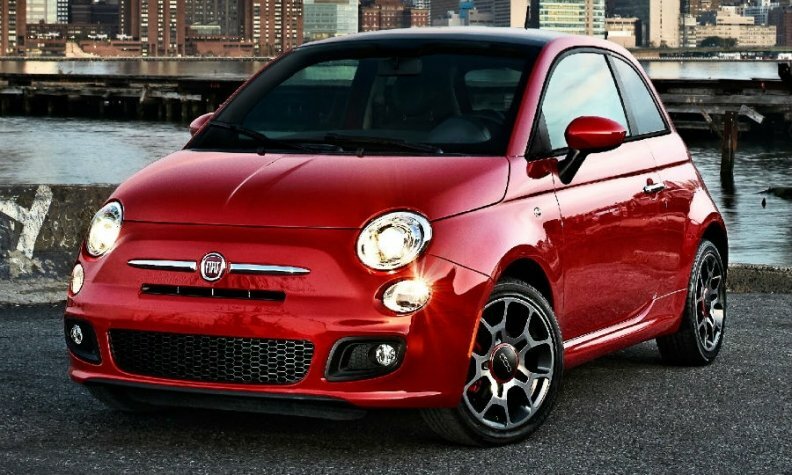 The Fiat 500's strongest markets are in California and the Southeast, according to the internal report. Dealers in the Midwest, from Ohio to Colorado, are experiencing the slowest sales rates, selling about 13 vehicles each in October, compared with dealers in California, who averaged almost 29 sales in October. Although sales are well below Marchionne's original targets, Reid Bigland, Chrysler's lead U.S. sales executive, said the Fiat brand is helping Chrysler. "Between Canada and the United States, we've sold close to 20,000 Fiats," he said. "Although maybe it's not a home run, it's very close to it -- a solid triple from my perspective. It's a product that has zero cannibalization of any other Chrysler, Dodge, Jeep or Ram product. It's purely incremental and has been a decent profit contributor to the sales organization. It depends on whether you look at the cup as half empty or half full. To me it's half full."